Men and spa used to be an incompatible combination, society dictating a notion of spa procedures as feminine. However currently that is not true! It's the opposite, really – it has been observed that more and more men attend spa procedures to escape the daily experienced anxiety and routine. What do men prefer or to be more precise – which procedures would fit well with men? Facial massage is an excellent approach to introduce the shiest man to the fantastical world of spa. Just because men do not use make-up, doesn't mean that their face doesn't need care. Moreover, men frequently use their facial expressions and muscles more intensely than women. To cure the consequences created by anxiety, a comprehensive facial massage will help to loosen even the tensest man. And by using various cleansing creams, the effect on the face from daily shaving will also decrease significantly. 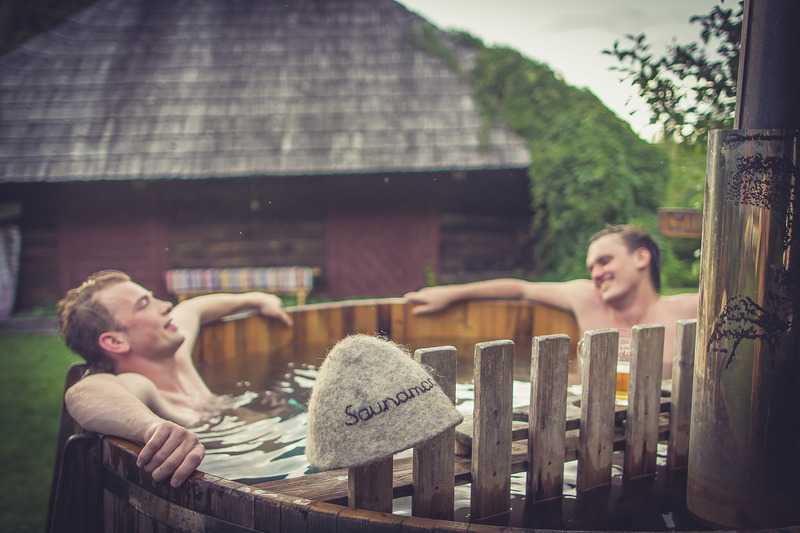 Sauna is a great choice for men who love spending free time alone. To sit down and relax while surrounded by hot steam – that gives opportunity to loosen up muscles strained from sports or tension at work. 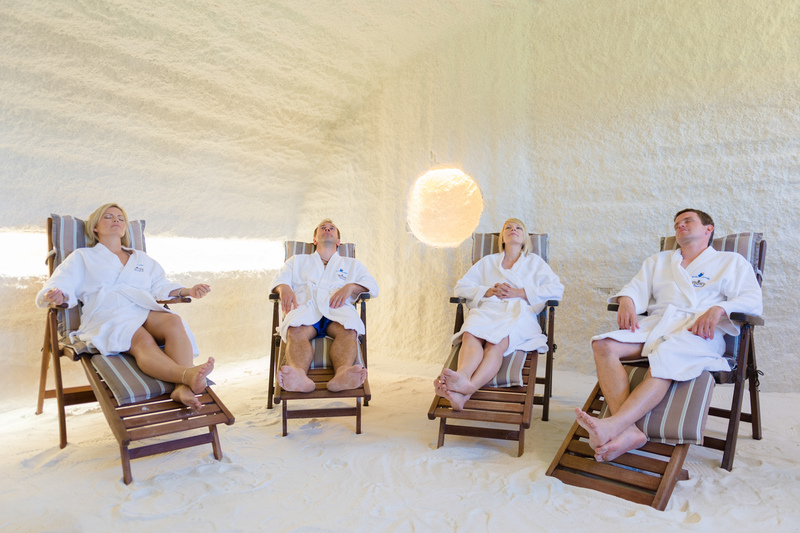 Steam sauna is also an effective approach to clear respiratory tract during symptoms created by a light cold. And sauna can also help greatly before the deep muscle massage by loosening up all body. That in turn will make the massage more enjoyable and effective. This massage is aimed at stimulation of deep muscle tissue. Considering the physical load men frequently undergo, the massage will help get rid of strains caused by sports, as well as serve as a prophylactic for organ injuries that appear because of physical load. After the massage the man will feel as if being lighter, experiencing an enhancement of his physical abilities. If an idea of mud or chocolate wraps does not seem to appeal a man, he can try the high pressure water massage which is an effective approach to preserve body firmness. It will also open up all pores, make skin firmer and boost circulation. Such massage will be exhilarating, and no man will complain about it being „too light", as the control of water pressure is up to himself. Full body and face peeling will also be suitable for stronger-bodied men. The scrubs used in it not only exhilarate, but also help to get rid of all the contamination that appears on skin's upper layer from daily activities. Especially useful will be facial peeling – when shaving the face daily, it starts to build up with the so called „dead" skin which prevents new skin to regenerate. That in turn creates dryness and irritation of the face. Peeling will help to get rid of these skin parts and let it regenerate into a new, more tender skin. Many places in the world have started to offer massages only for men. For example, USA houses spa centres that provide beer and bourbon massages. It does not mean that the beverages are just poured all over men bodies or just given to them as drinks. The massages consist of special creams, oils and scrubs made from the beverages which are then massaged in the body.